The Romans subjugated great areas of Britain, Wales, and Scotland as portions of the Roman Empire. 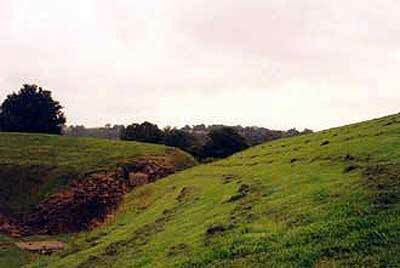 In the southern region of Wales, the Romans established a town and a garrison. 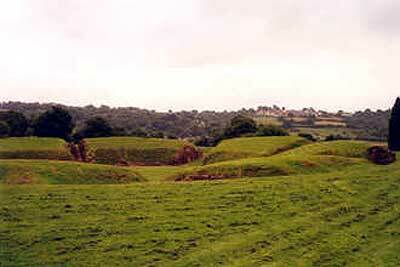 To entertain the troops, Caerleon Amphitheater was built. This site, as many on these immediate pages, is an easy drive from Cardiff. Caerleon Amphitheater seated five thousand troops and supplied entertainment for the Roman garrison stationed nearby at the fifty acre fort. The fifty-five hundred strong Second Augustan Legion established a presence at Caerleon in 75 A.D. and this amphitheater was constructed around 90 A.D.. 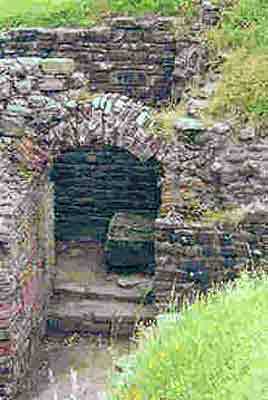 This is one of the staircases that descended into the arena of Caerleon Amphitheater. 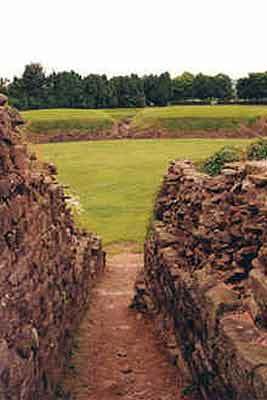 This is another view of a staircase looking into the arena area of Caerleon Amphitheater.